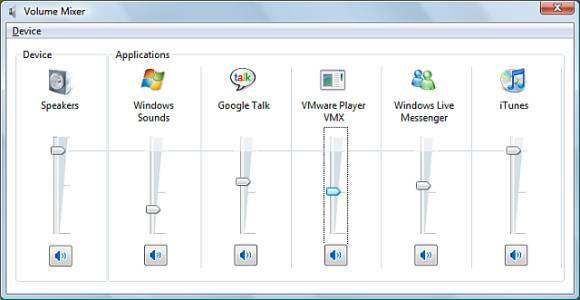 Updated: Working with the top PC developer Cakewalk, we’ve gotten a more complete picture of pro audio and music creation in Vista. See our new story Vista for Music + Pro Audio: Exclusive Under the Hood with Cakewalk’s CTO. All that’s here, of course, remains relevant. Per-app mixer levels: A single menu lets you mix actual application levels in one, central location, accessible right from the system tray. Of course, there are still plenty of Vista questions serious musicians will want answered, like, “will our audio interfaces break and will we still have to reinstall drivers and hack the Registry every time we reconnect some USB gear to a different port?” Microsoft has confirmed the audio stack has been completely rewritten for Vista, but some of the details were still unclear at an Audio Summit held this summer. Now that we’re closer to release, I’m working on getting some of these answers for CDM. I should have some details well before the official Vista release, still — let’s check that Vista counter — 54 days away.